Did I say spa? 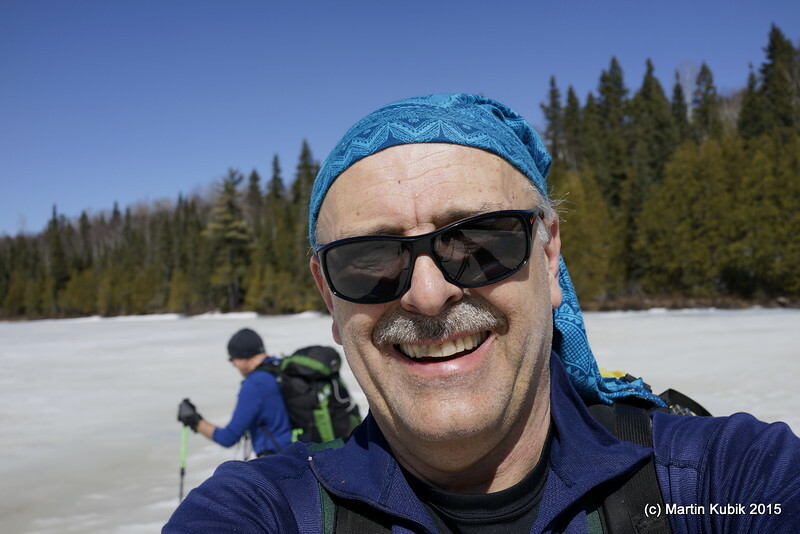 It is sunny, probably 60 degrees and one tough snowcamping trip. Yet, it is an adrenalin rush all the way. Even though the ice is still at least 10 inches thick, the sight of so much water on top of ice makes us a bit jittery. Getting on ice from portages requires intuition, assessment and judgement skills developed over many years and treks. Did I say we had FUN?